Op internet vonden we “Chez Claudine” waar we een cursus Frans op maat konden volgen in een pittoresk oud klooster in het stadje Montbard. Claudine is een fantastische docente Frans. Het was een groot plezier om les van haar te krijgen. We hebben ontzettend veel genoten en vooral geleerd. We kregen alle gelegenheid om ons optimaal te richten op het verbeteren van het Frans. Daarnaast is Claudine een goede kok en zeer gastvrije gastvrouw. Elke dag bereidde zij heerlijke traditionele Bourgondische gerechten voor ons, waar zij ons veel over vertelde, in het Frans. De maaltijden samen waren eigenlijk een extra les Frans. In een gezellige ambiance, staken we ongemerkt heel veel op van de informele tafelconversaties. Het werd steeds makkelijker om het Frans te volgen, dankzij de intensieve lessen in de ochtend en de informele gesprekken tijdens het ontbijt en de lunch. We kregen deze week ook volop de kans kennis te maken met de Bourgondische levensstijl en cultuur. Elke dag organiseerde Claudine wel een leuk cultureel uitje in de omgeving of een ontmoeting met een inspirerend iemand uit haar netwerk, waar we vervolgens zeer hartelijk werden ontvangen. Het was een fantastische ervaring, waarbij we hebben genoten van de prachtige natuur, schoonheid en gastvrijheid van het cultuurhistorisch zeer rijke Bourgondië. Het was volgens ons de fijnste en beste manier om Frans te leren en we hopen het in de toekomst weer een keer te doen. 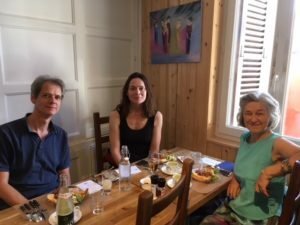 My three weeks in Montbard at chez Claudine were a total immersion not just in the French language but in the culture and customs of France and in the civic activities of a small French town. This immersion enhanced my understanding of France and of its rich language. Meals were delicious as Claudine is an excellent and generous chief. And although I had my own fully-equipped kitchen I never cooked but instead enjoyed the leftovers for dinner – and ‘leftovers’ doesn’t accurately describe her delicious Bourgogne menus. In addition, the kitchen is well stocked with all sorts of good things, including teas, cookies, breads, and cheeses. Apart from the private lessons and Claudine-escorted excursions, the range of activities made for full days, whether riding the local train solo to neighboring towns, walking along the canal with the Bourguignons, or participating in the after-film discussions at the Cinéma le Phénix . The lessons were rigorous. Claudine emphasized the proper pronunciation of vowels in our lessons. We both worked hard to undo my many years of incorrect pronunciation. I felt that I made real progress in those three weeks. And, I came away with simple but effective strategies devised by Claudine to maintain my progress and further develop my speaking and oral comprehension skills once I returned home. 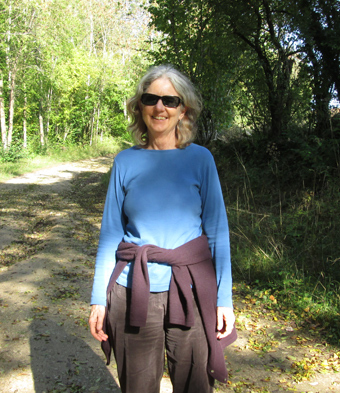 I spent three wonderful weeks at Chez Claudine in Montbard, France. I had my own apartment and daily 3-hour classes. Because she takes just one student, this class is very intense and Claudine is very strict. She is also great fun and included me in so many activities, concerts, movies (7), lunches with her friends and many other opportunities. The three weeks not only meant French immersion but truly a cultural immersion as the people in the town and surrounds were generous and interesting. 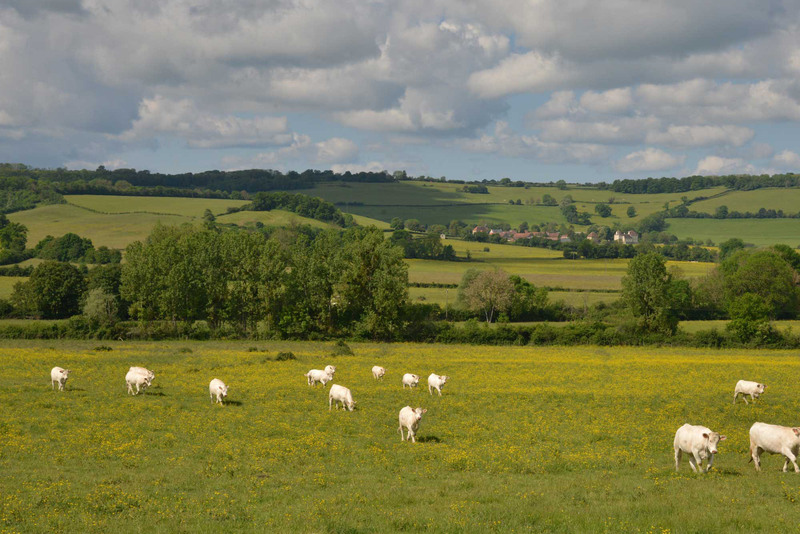 The countryside is incredibly beautiful, full of medieval villages and gorgeous farmland. 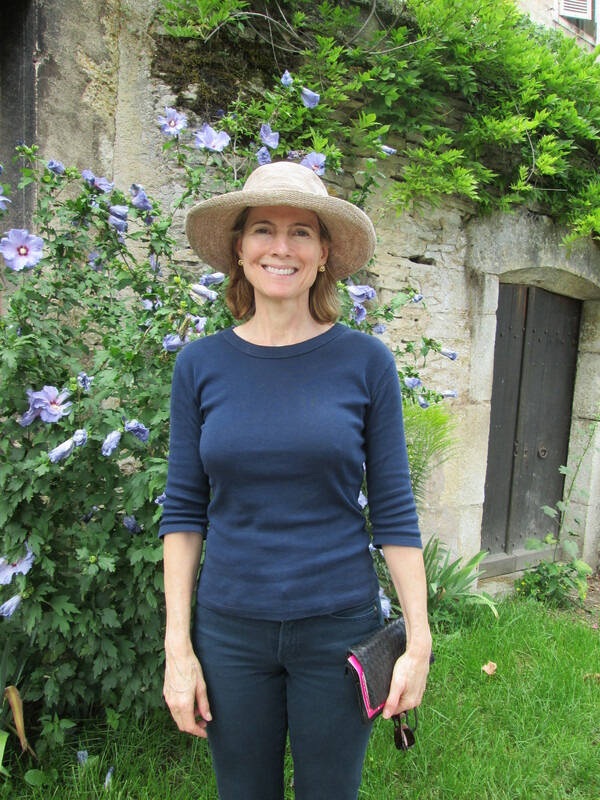 In July of 2014 I spent two weeks in Montbard studying with Claudine. A very beautiful place and a wonderful teacher. The accommodation is simple, homey, and comfortable. The town is surrounded by fields of sunflowers, and green pastures with herds of white cows, which you pass on the way to fun places. There wasn’t time to visit all of the museums, historical sites, chateaux, or attend all the concerts and exhibitions on offer that time of year, that I would have liked to. Which is why I plan to return this summer. ». 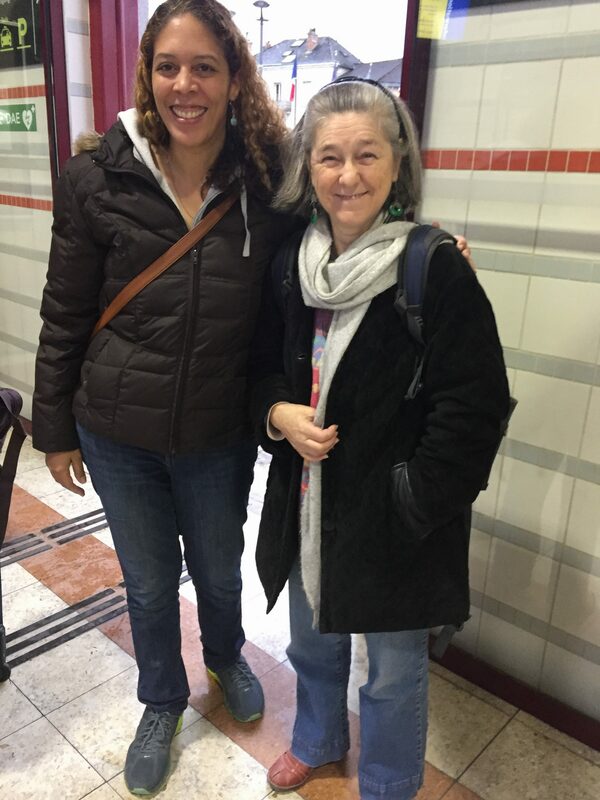 My experience learning French with Claudine was so very helpful in taking my French to the next level. She is very quick to discern language difficulties-grammar, pronunciation, vocabulary, etc. and has developed very clear and targeted methods to personalize her program for each student in order to improve their French. As a language teacher myself, I greatly appreciated her ability to clearly explain language concepts and to supplement with level-appropriate materials. In addition, the experience of complete immersion was not only valuable for my language improvement but was also enjoyable. Claudine provides many real-life opportunities to mesh with the local culture and experience being with « real » French people. She was quick to answer any of my questions about French culture, values, etc. and was a wonderful liaison for better understanding the French lifestyle. 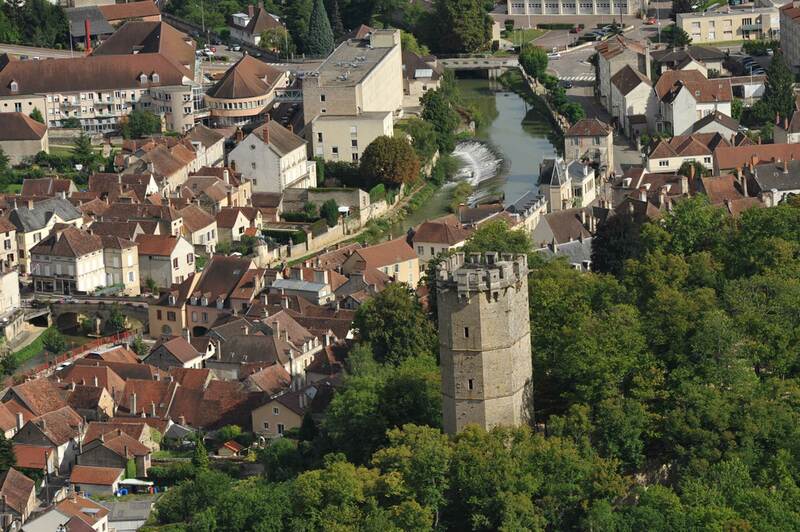 Excursions to local musical and art events, eating and visiting with her friends and shopping at the local market were highlights of my time in Montbard. Claudine went the extra mile to ensure that I was comfortable, well-fed and cared for (she even took me to the doctor’s office when I was sick!). After spending two weeks with Claudine, I continued my travels in France with far more confidence in speaking and listening to native French speakers. The ability to communicate « en français » is a thrill and well worth the time and effort spent with Claudine ». 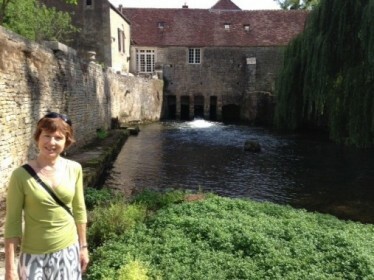 I spent 2 weeks with Claudine improving my French in Montbard. I was the only student, living in my own 3-room apartment down the stairs from her apartment. I spoke only French for the entire 2 weeks. 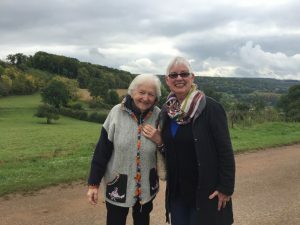 I knew that if someone was around to speak English with me, I would not be able to force myself to speak French, so Claudine’s one-on-one method was perfect for me. It may sound hard, but it’s the best way to learn any language. And I had so much fun! Claudine’s English is excellent if a communication emergency had arisen, but the idea was to immerse myself in French. The rate was very reasonable, because it included almost everything: the language instruction, the apartment, breakfast and lunch 5 days a week, and 3 field trips each week with Claudine. The other 2 days I was on my own to explore the lovely town of Montbard, hike in the scenic French countryside, or catch a train to Dijon. And btw, there’s a charming little bookstore within a block of the apartment. Of course Claudine made sure I could find my way around — and back again — before she sent me out on my own. In the evenings I could, make myself a meal in my fully equiped kitchen from things I’d picked up at the market or I could venture out. Claudine is a good cook, so I was often eating up those yummy lunch leftovers.  When I arrived in Montbard, I could understand a fair amount of French and read pretty well, but my speaking and writing were pretty sloppy. I made great progress, though I worked hard, studying whenever I wasn’t out exploring, watching French movies or chatting with Claudine’s friends. Three weeks would have been better, but I could only find the time for 2, which was still wonderful. It was so hard at first to learn all the new words and to change the way I’d been speaking French, but as the days went by it got easier. By the time I left, I was speaking comfortably. Claudine is very patient and encouraging, and she can accommodate any level of French, even those who arrive knowing nothing! 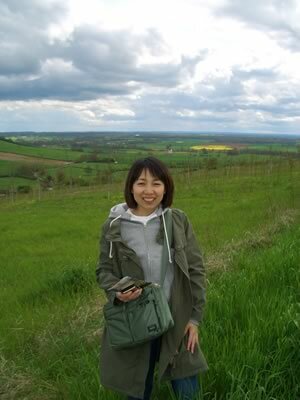 On April 5, I made a trip from Paris for an hour by TGV watching beautiful Burgundy’ s views, such as, bright green just starting budding, fresh meadows and undulating hills. Claudine-sensei waited for me at the station and took me to the lovely classy stone building. An apartment with 3 rooms was fully equipped and ready all for myself. As I requested to have breakfast by myself, I cooked food in the fridge and made coffee and toasts and bread by myself. Claudine came from upstairs to my apartment every morning at 8:30 sharp saying “Ça va ?”, then the lesson started. Her carefully detailed and repeating exercises organized my French brain nicely. Although my memory would be a question, the memos Claudine gave me during the lessons become a precious guide for my studying French in future. With a short coffee break, the morning lessons lasting until noon were very exciting and gone very fast. Learning pronunciation, grammar and hearing and speaking French at my level in the actual life scenes improved my French with a huge progress, in spite of only a week stay. As of the communication, my funny French wordings sometimes brought huge laughs between us or confusions to Claudine, but every time, she tried to use simple wording or even using Japanese, so I was comfortable with our communication perfectly. Short trips in the afternoon were very interesting, like meeting a pilgrim visiting to Compostelle. 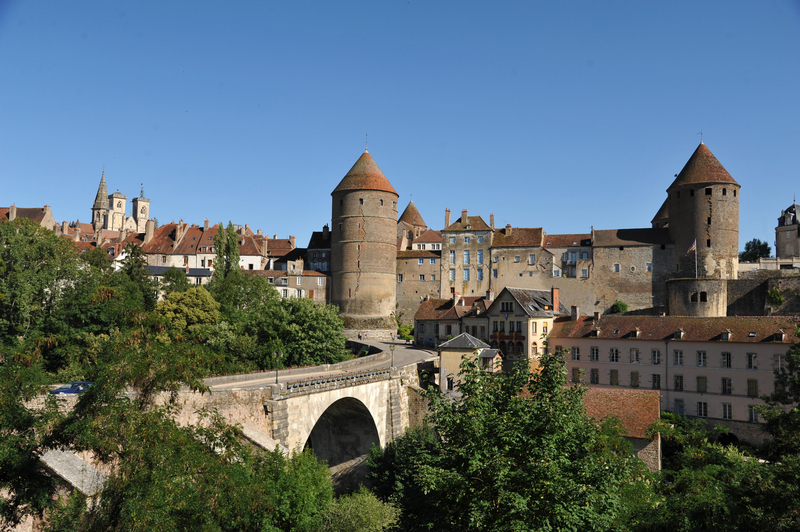 I visited Semur en Auxois, Noyers sur Serein, Vézelay and l’Abbaye de Fontenay and had many impressive experiences. One day, we were invited to dinner at a local artist living in a small village near-by. 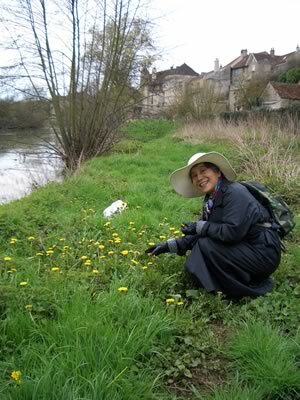 Moreover, Claudine is very good at cooking and prepared lunches and dinners as the Burgundy local food. At every meal, I could not help myself repeating “Yummy! Yummy!”. Claudine even cleaned and put away dishes for me, so it was the week I felt as if I became a queen who had her own tutor, chef and guide. Although it was very short time as a week, I had very precious time. During the 3 hour private lesson in the morning, I could feel the progress with my French by having the right focus on my weaknesses. 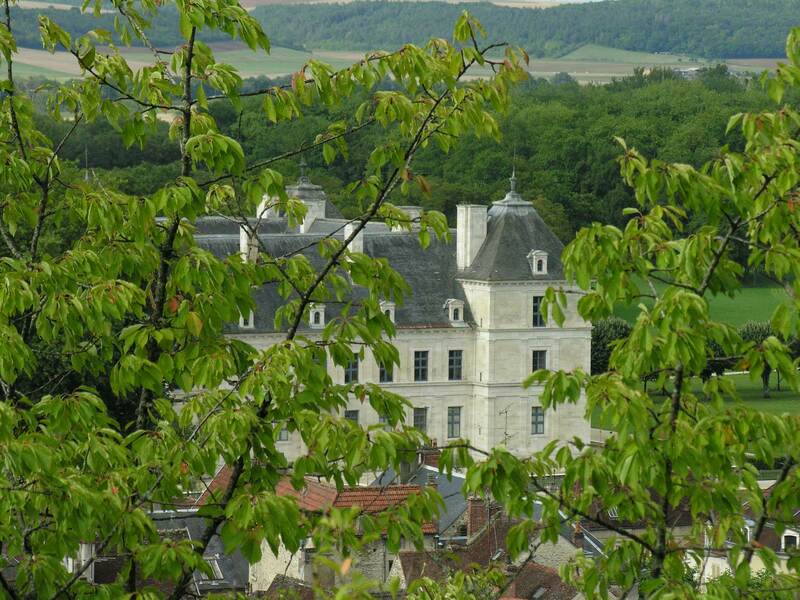 In the afternoon, there were a lot of things to do such as sightseeing, going to a kind of flea market in the nearby village, visiting the teacher’s friend’s house, strolling around the cute Montbard town. Also, the meals the teacher cooked were excellent and she offered many different French regional delicacies. 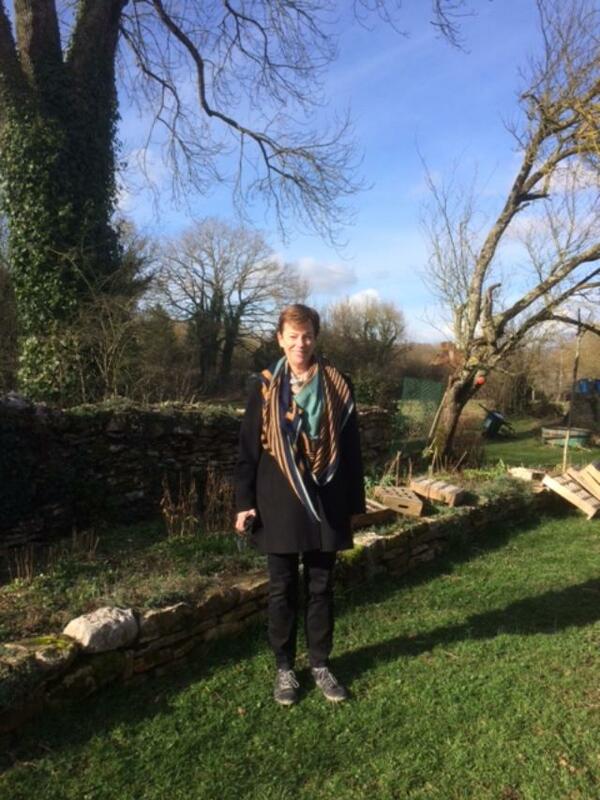 I was content to spend the week with a sense of fulfillment, as it was more than the ordinary trip with a lot of real experiences of a local French life. Definitely, I will go back again when I find another opportunity.